The water track is easily assembled. Perfectly designed seals can be attached without glue and make the channels absolutely waterproof. With a manually operated crank and the included boat, children can make first playful experiences of water currents and direction, developing creativity and imagination in the process. 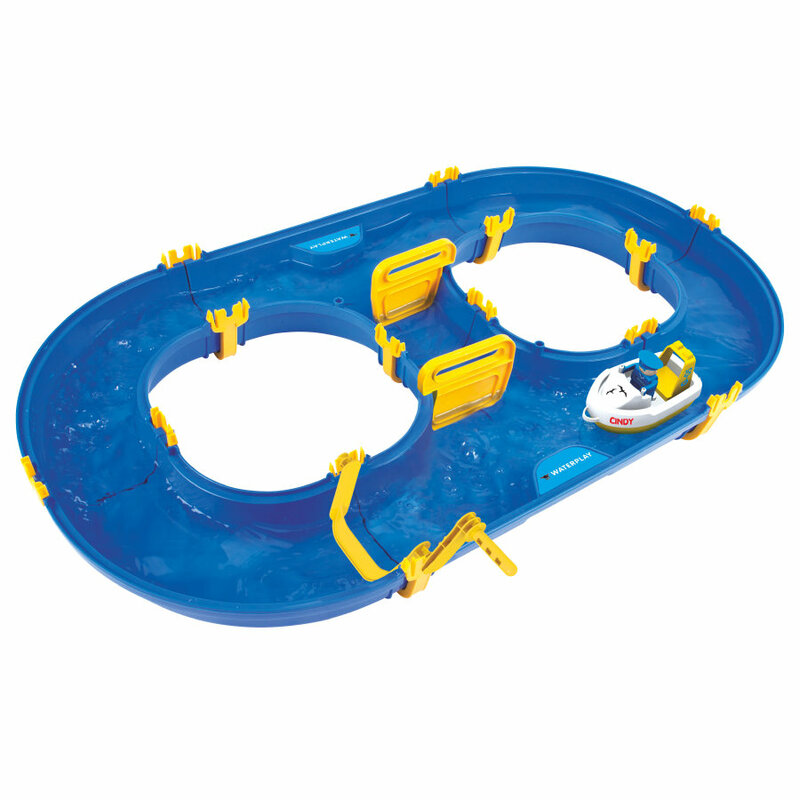 The crank can easily be taken out of the pool to let the boat pass. A wide range of add-ons makes it easy to expand the set. Every package includes easily comprehensible instructions.